This worksheet is designed for complete beginners or elementary students. Grammar: there is, there are in affirmative sentences. 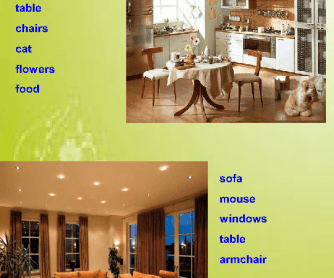 Vocabulary: rooms in the house, furniture. 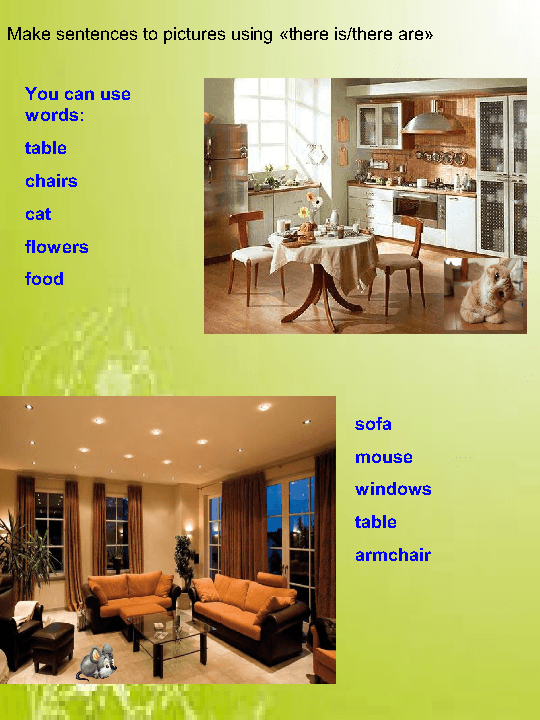 The worksheet contains pictures of rooms and students make affirmative sentences to pictures using there is\are. I use it after explanation of the rule .